The French Pre-dreadnought ‘Suffren’ was completed 1899 and was damaged at the Dardanelles and on the way back. 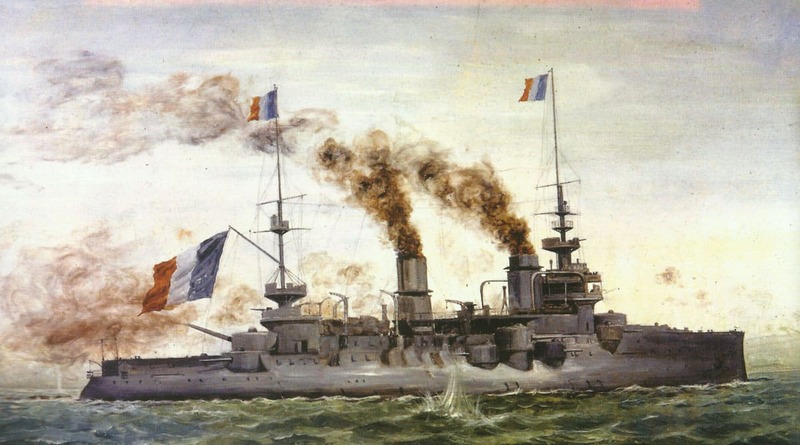 Eastern Atlantic:Unescorted French old battleship Suffren (making only 9 kts) sunk with all hands by U-52 off Lisbon. Rumania: Falkenhayn‘s Group Kraftt occupies Rimnik south of Rotenturm Pass (Falken­hayn’s German troops foiled at Slatina November 25-26). Mackensen turns Aluta position by advancing towards Alexandria and Rosiori. Rumanian authorities begin leaving Bucharest for Jassy as general retreat ordered.